On the 20th November a group of us who have been researching the life of Ethel Carnie Holdsworth as part of the Pendle Radicals Project, met together to look more closely at her poetry and to meet with a very knowledgeable guest. Our aim was to choose some poetry to add to the national Poetry Archive. Our guest was Roger Smalley who wrote his PhD on Ethel and who is still, 20 years on, a passionate ambassador for Ethel’s work. As you will see, I think he was as glad to meet us as we were to meet him. The most important thing about choosing any of Ethel Carnie Holdsworth’s poems is that we must be sure that they give the average browser, who may never have heard of her, a glimpse of her as the amazing woman she was. Ethel the reader, writer, educator, pacifist, suffragist, co-operator and believer in the goodness of the human spirit and the powerful effect of beauty and freedom upon it. But as the amount of time that we have been allocated for Ethel’s ‘voice’ in the Poetry Archive is only 10 minutes, we also needed some other criteria for helping us make the choice about which of Ethel’s poems should go in. Fortunately, we realised that as we are also able to write a biography of Ethel as part of the entry in the archive, then other poems could be added in written form and so some of the longer ones can be included that way. And of course we will be bringing other poems to life in other ways – for example A Marching Song being turned into a song. What I also realised from the conversation with Roger Smalley, was that there are other poems out there that we haven’t yet considered. So while we thought we had a long list – and that really helped us to make a start on choosing – there are still a few poems that might creep into the final selection. Reading Roger’s book Breaking the Bonds of Capitalism: the political vision of a Lancashire mill girl and this article* by Patricia Johnson, will help us ensure that we haven’t forgotten anything. And I feel that we owe it to not only Ethel, but also Roger, to be sure that we get this selection right. For him, bringing Ethel’s voice back to the notice of more than just a few academics, has been a big part of his life. He was so grateful to us that we are taking the task seriously. If you would like to contribute to selecting the poems to go into the Poetry Archive – please ask to join our Radicals Research Team on Facebook. Alternatively, send us a message using the form below. Of course, if you have further suggestions of your own – please let us know. We will be making the final choice towards the end of January 2019. *You can read an extract from the article on the JSTOR website. You can have free access to the complete article, but will need to sign up to JSTOR for that. Reflecting on our last event at One Sixty, ‘Searching for a Factory girl’ as part of Burnley Literary Festival… and what a great night it was of songs, readings and amazing discussion! The event at One Sixty was to provide people with an insight into the progress of the Pendle Radicals Project so far, which sets out to explore some of the extraordinary, non-conformist souls of the area around Pendle Hill. This includes the likes of George Fox, Selina Cooper and Jonas Moore however, it is the extraordinary story of Ethel Carnie Holdsworth, mill worker turned prolific writer and activist, whom the Pendle Radicals volunteer group have chosen to focus on for their first enquiry. The event therefore highlighted what the volunteer team had discovered so far about Ethel Carnie Holdsworth from getting married and having children to getting her first novel published ‘Miss Nobody’ and writing for a number of newspapers. Janet Swan led the discussion centred around a story board which displayed key parts of Carnie’s life, working half time at the Mill whilst being in school, writing her first poetry book ‘Rhymes from the Factory’, writing for the ‘Women Worker’, moving to London on her own and setting up Bebel House and having one of her novels turned into a film. We had a number of guest speakers bringing Ethel’s story to life, including Liz Catlow and Peter Kenyon who read a number of Ethel’s amazing poems, a small number of which we are hoping to submit to the National Poetry Archive. Help us make the decision of which poems to select by visiting our Facebook page, and casting your vote! Ethel’s writing is fearless, she was certainly not afraid to speak out and despite everything always kept going to do her best. The event was fully booked creating a great atmosphere, it is clear that Ethel’s strong nature and determination has caught many people’s imagination and we hope that this continues as we start to unpick more of this Lancashire girls life and career. What an amazing discussion we have just had at Mid Pennine Arts, talking all things Ethel Carnie Holdsworth. It was great to hear from all of our volunteers the snippets of information that they have discovered about this amazing mill worker turned bestselling author. The enthusiasm and drive that we have had from our volunteers so far has been amazing and reflects Carnie’s determination, it is great to see the project develop in this way. We began by reflecting on Carnie’s writing, but where to begin was the question? In particular, it was interesting to look at her writing in the Daily Herald as this very much highlight’s her humour and feistiness. As well as the Herald Carnie wrote for a number of other newspapers including Christian Common World, The Women Worker, Clear Light and The Weekly Telegraph. How did she find the time we may ask, whilst writing several books, poems and having a family of her own? We then moved on to looking more closely at Carnie’s poetry, unpicking one poem in particular ‘Why?’ from one of Carnie’s poetry books ‘Voices of Womanhood.’ This is one of a number of poems being considered to be put forward to feature in the National Poetry Archive and YOU can join us in making this decision via our Facebook page. It was also a great opportunity to discuss with the volunteers another outcome of the project, a production piece. It was great to hear everyone’s different ideas regarding this and we started to form a storyboard of key events and stages in Carnie’s life that we regard as being important. This is something we will share at our next event ‘Searching For a Factory Girl’, so watch this space!! We were also really excited to discuss our next Radicals Research Trip with our last being a visit to the Royal Exchange Theatre to see Queen’s of a Coal Age. We are hoping to take our team of volunteers to the People’s History Museum to see one of their current exhibitions ‘Represent’, which reflects on those who campaigned for better representation; most famously the suffragists and the militant suffragettes. We look forward to getting this organised in the next few weeks! Our second tea party held at the Mid Pennine Arts office was a great opportunity to catch up over tea and cake and hear what information people had discovered since meeting at One Sixty! In particular it was exciting to hear that a relative of Ethel Carnie’s had been in touch, who we hope to soon meet, an amazing opportunity to find out more about this Lancashire mill worker turned best selling author! Two copies of Clear Light, an anti-fascist journal that Carnie edited and produced during the 1920’s has also been located at the Working Class Movement Library in Manchester, the scale of which would challenge today’s readers. The journal was in many ways aimed at females and emphasised on asking women to share their thoughts. This once again highlights Ethel’s formidable passion as a campaigner as well as being an amazing writer… Go Ethel! In the words of Ethel Carnie Holdsworth, we may not always be perfect but we must always continue to do our best! Throughout discussion we were continuously reminded of Ethel’s determination, strength, bravery, she was almost invincible. We even discovered that in October 1930 Ethel helped to set up Bebel House in Kensington, where she worked as honouree director, the purpose of which was to educate trade unionists to be propagandists. It was amazing to start visualising this and without the volunteers contribution this wouldn’t have been possible, the little snippets of information that everyone keeps on discovering is allowing us to continue Ethel’s story, her feistiness, work ethic and incredible literacy! Our first Radicals Research Trip was to the Royal Exchange Theatre to see Queens of the Coal Age, and what a great evening it was! The production was centred around the story of four fearless women who stood up for change, they were BRAVE, DETERMIND and in so many ways showed POWER and FORTITUDE. Does this remind you of anyone? Of course, one of our Radicals Ethel Carnie Holdsworth. The purpose of the play was to very much celebrate the fighting spirit of these women and to not allow their protest to be forgotten. It carried on their determination and bravery and allows for people to remember their passion. This is similar to the aim of our Pendle Radicals project, to not let people such as Ethel Carnie be forgotten and therefore pay tribute to her life and career. 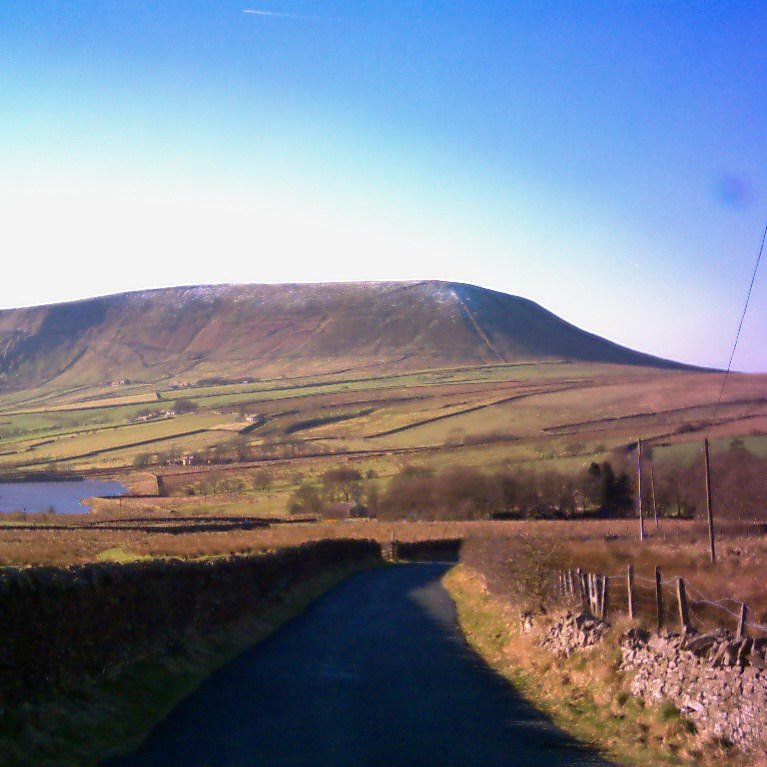 This therefore was a great opportunity to gather more research and an insight into what one of the main outcomes of the Pendle Radicals Project may be….